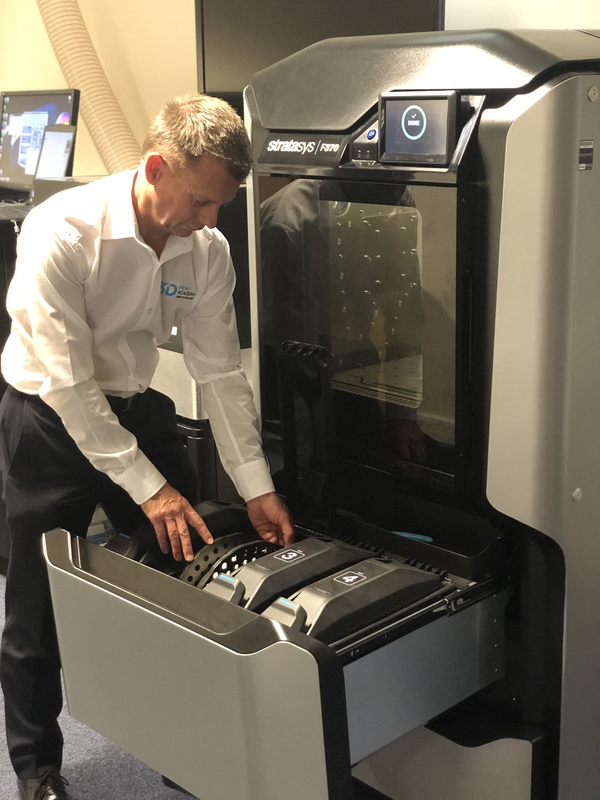 Often overlooked, general maintenance of your Stratasys FDM printer is by far one of the most successful ways to ensure high quality and reliable prints. We recommend always running the manual print calibration before every print. This will make sure that the model and support material are being placed correctly during the extrusion process. Digital calibration can also be carried out, but a manual check is always recommended. Always ensure that the print bed is clean from any debris before printing, you don’t want to print new models on old support residue. Make sure the print head is also within its working life limit- Stratasys printers will notify users prior to print heads reaching the peak number of hours, and when they will need replacing. It is good practice to always have a spare print head in preparation. Monitor your material spools- ensuring enough material is loaded into the printer is a must! Stratasys FDM printers will automatically load new material should a spool run out during a print, but only if the second spool is the same material and colour. Alternatively, you can check the amount of material that will be required in your 3D Print Prep software, prior to starting the build. Live updates of the material volume on any spool is always available through the touch screen interface on Stratasys FDM printers.